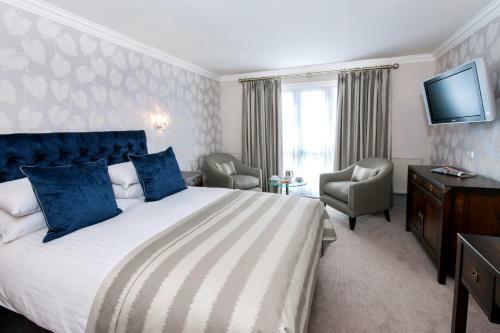 We offer a wide range of hotels near Watford from cheap accommodation to up market luxury hotels. Search our database of hotels to find the lowest rate for your stay closest to Vicarage Road. Holiday Inn London Watford Junction has a central location just 2 minutes’ walk from Watford Junction Railway Station and 10 minute's walk from the town centre. The hotel features a restaurant and a bar. 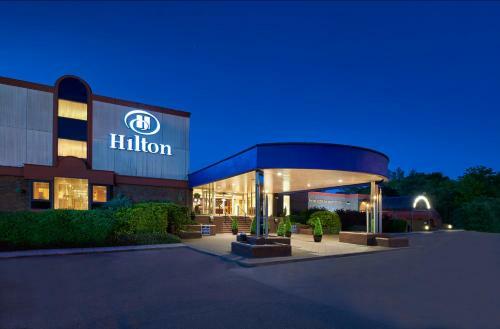 Situated 18 miles from central London, Hilton Watford offers a gym and free parking. The M1 is a 3-minute drive away, and central Watford can be reached in less than 10 minutes by car. Located within easy reach of Watford, M1, M25 and A1(M) motorways, the Mercure London Watford is less then 10 minutes from Central Watford. Guests can take the train or tube to central London from nearby Watford Junction Station. This Tudor-style country house with garden views and fine dining is 13 miles from London city centre and close to the M1.